Max accuracy and reliability to master every tactical scenario. We took the bedrock precepts behind every riflescope we build – optical precision, rugged reliability and uncompromising performance – and pushed them ever farther for the AR-platform. Features include target turrets for pinpoint-precise adjustments, plus caliber-specific reticles to deliver every round with peerless accuracy. AR Optics riflescopes are available in 6 configurations to equip every AR platform from 22 rimfire to long-range 223/5.56mm firearms. With fully, multi-coated optics for incredible brightness and our new Drop Zone-223 Ballstic Reticle, with aiming points out to 500 yards. Forged to ultra-tight tolerances, built by the best name in the business, Bushnell AR riflescopes. 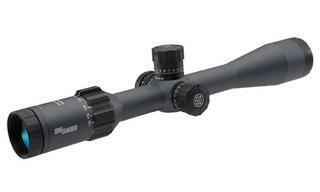 Scope 4x32 with 3 possibilities. Sight of high durability, lantern of 30 lumens and laser of high capacity. It is sold with cables to be able to activate the lantern and laser without letting aim at our objective. Gameking riflescopes are designed for today’s hunters. 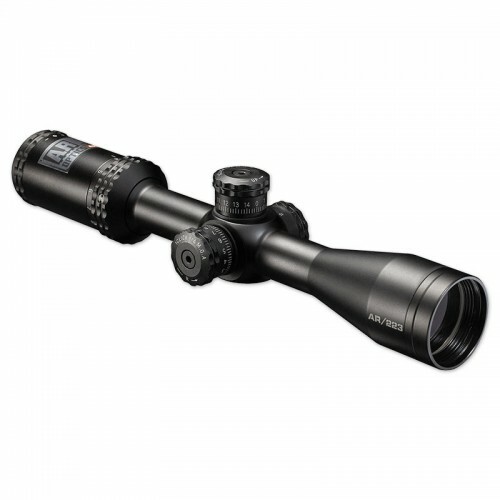 Introduced in 2008, this range encompasses riflescopes up to powerful variable models that include a 6-24x50 AO illuminated. The range of Gameking variable zoom magnifications allow hunters greater flexibility in their hunting. Now you can simply adjust the zoom according to the conditions as you move through the hunting terrain. When the forest is thickest and the game is closer you can easily move the zoom to the lowest setting. This has the result of increasing your field of view so that the target can easily be seen without delay. Later when you move to more open fields the quick adjustment of the zoom will allow accurate shots on the furthest targets. Put simply, more hunting opportunities in a single scope! 1 INCH HUNTING completes the range of our new and exciting NIGHTEATER™ scopes. All the features that set the 30mm series apart are included in the 1-inch series including the Grade A lenses and the MICROLUX ETE multi-coatings to all lenses. 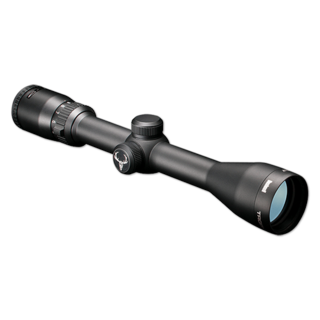 The series includes scopes for all hunting conditions from low light forests to plains varminting. Hunters will appreciate the speed of the saddle focus for parallax correction to a target distance that will vary during a hunt. Objective lens focusing is not nearly as efficient. Hit the bull's eye with the Pentax Pioneer II scope. 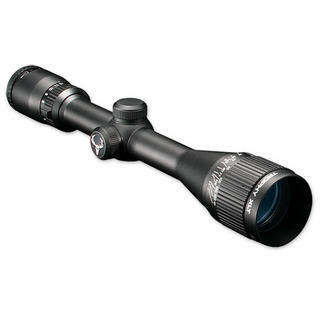 The Penta-plex or Ballstic-plex reticle of this Pentax rifle scope ensures that your aim is as accurate as possible. The nitrogen gas in this Pentax scope has been double sealed with heavy-duty neoprene 'O' rings that will keep it fog proof and leak proof for a lifetime. 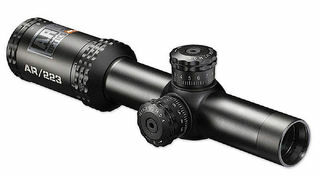 Moreover, the single-piece tube construction of this Pentax rifle scope is made of high quality aircraft aluminum that adds to the durability factor. Get clear, sharp images through this Pentax scope that comes with multi coated optics. The Pentax Pioneer II with a matte finish gives your ammunition the raw touch. 3X Combat Sight The Firefield 3x Combat Sight is a versatile optical gun sight, designed like a universal scope for accurate short and medium range shooting. Featuring an illuminated red or green reticle, the Firefield 3x Combat Sight has up to five brightness settings that can adapt to any terrain. The brightness settings allow for optimal shooting in low light scenarios without the inherent problems of fiber optics or auto-adjusting systems. The ¼ MOA adjustment provides precision accuracy, perfect for short and medium range combat situations. Compatible with AR15s and picatinny mounts, the Firefield 3x Combat Sight handles recoil well and is waterproof and fog proof, for maximum durability. The Firefield 3x Combat Sight features a durable, aluminum die-cast construction and multi-coated lenses for a crisp, clear image. 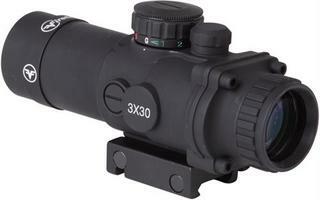 The Firefield 3x Combat Sight is a must have for any tactical shooter. 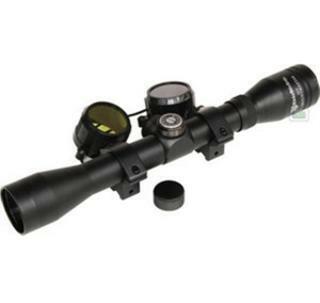 The most versatile all-around, big game hunting scope configuration. The new Elite 3500 riflescopes offer elevated performance for the real world and a tangible commitment to building the sharpest, clearest and brightest optics available today. The exclusive Ultra Wide Band coating process uses 60 layers of coatings on each lens to boost light transmission to more than 91 percent. This translates to incredible brightness during those final minutes of shooting light when game animals are most active. They are torture-tested to ensure reliability in the heaviest magnums. With all these advantages, the value of an Elite riflescope is undeniable. The best riflescope in its class, VX-1 3-9x40 Scope from Leupold ® provides performance and features that you can count on. VX-1 offers hunters with Leupold ® quality, accuracy, affordability and a full lifetime guarantee. VX-1 features outstanding brightness, clarity, contrast, micro-friction windage/elevation adjustments and is waterproof in all conditions. Max accuracy and reliability to master every tactical scenario. We took the bedrock precepts behind every riflescope we build optical precision, rugged reliability and uncompromising performance and pushed them ever farther for the AR-platform. Ideal for air gun or .22LR rifles Mountmaster riflescopes come with full metal alloy adjustment houses for greater reliability. All Mountmaster scopes are shock tested and nitrogen filled at the factory for fog and waterproofing. Additionally all Mountmaster scopes come supplied with Weaver quick detachable mounts - ideal for mounting on air guns and 22 rifles. The World's Brightest Most Ingeniously Engineered Riflescopes Tested, proven, uncompromising superiority. With the world's brightest riflescope, featuring RainGuard® HD, you're fully equipped to strike with lethal precision in the dimmest, wettest, most unforgiving circumstances.